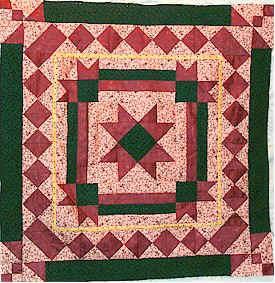 When piecing, do you dislike sewing individually cut pieces of fabric together, especially along bias edges? Barbara does, so she developed the Sewfasst techniques. 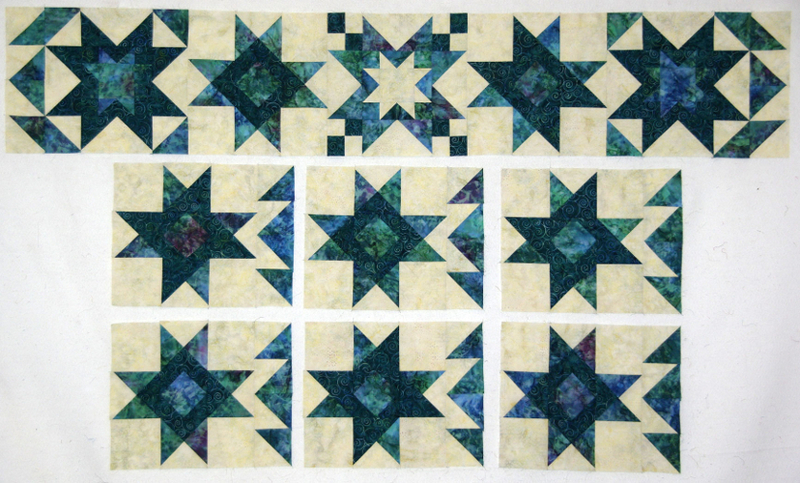 With these quick strip piecing techniques, you will not waste fabric. 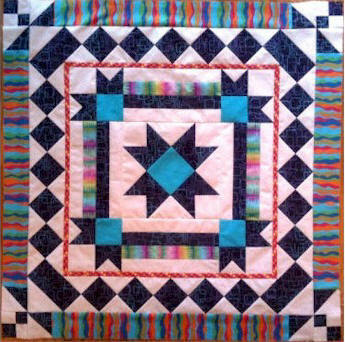 You will save time and end up with Bonus Patches that can be used in the borders or in other projects. 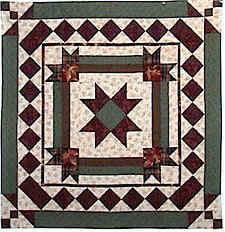 You will learn to make square diamonds, flying geese, quarter square patches, 4-patches and half square triangles. 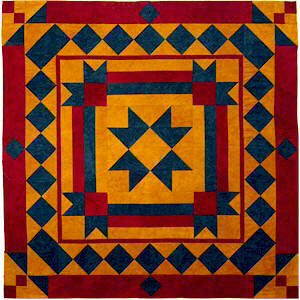 They are all sewn with squares and rectangles! 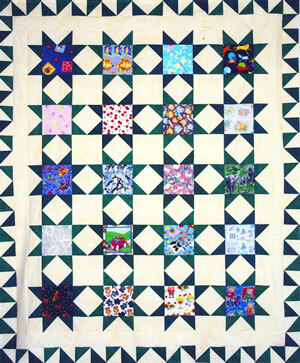 We will look at a few of the many blocks that use these units and discuss how to adjust the sizes to fit your needs. Making the small class project is optional. Process is emphasized. 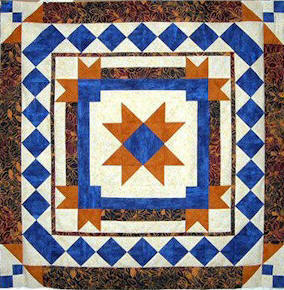 Make samples or incorporate the techniques in a project of your choice. All levels of experience. We will be working with squares and rectangles. Strips should be cut across the width of the fabric, from selvage to selvage. 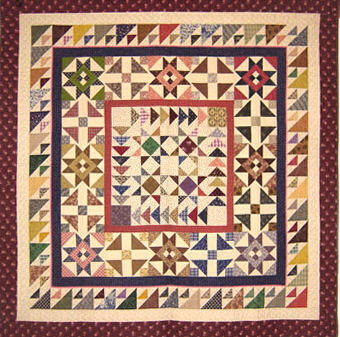 At least three different values of fabrics are needed to make samples: light, medium and dark. 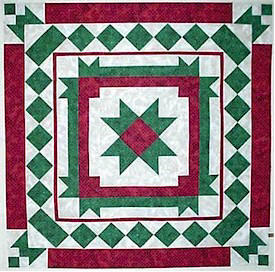 Fat Quarters (18" x 22") or scraps with a minimum size of 6" square. 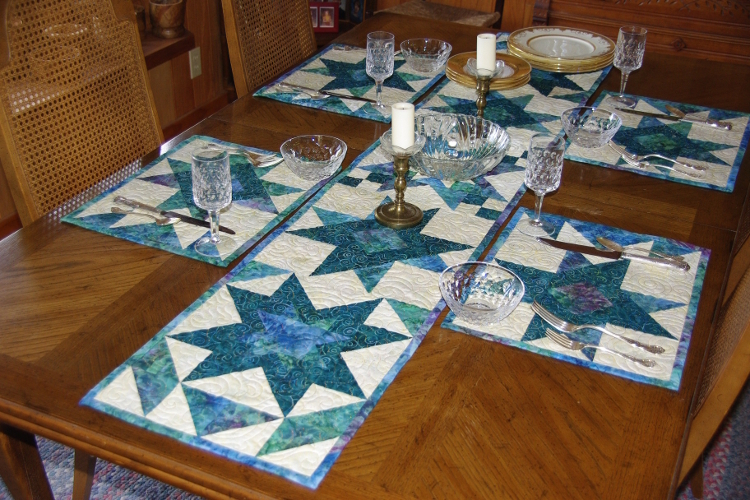 If you plan on making one of the projects, when working with the techniques use fabrics other than the ones used for the projects. This is the time to use scraps or left overs. Save the technique samples, by stapling them to the instruction pages or put them in clear sleeves. 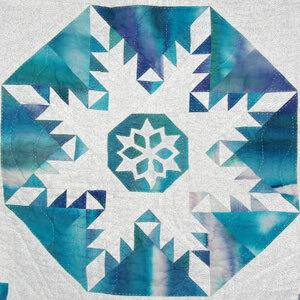 The point is to not use your "good" fabric, to "practice" the techniques. sewing machine. Replace your needle. Schmetz Jeans/Denim needles #80. We are not sewing denim, but these are sharp needles that will sew easily through layers of fabric. It is also helpful to have a foot that gives a scant 1/4" seam, but is not necessary as long as you know where that point is on your machine. You can check the Library for hints on marking your machine. 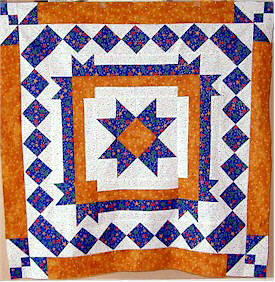 *Optional: Quick Quarter Marker (1/2" wide ruler for marking 1/4" seam allowance) from Quilter's Rule. I urge you to get this tool, it is really helpful. The picture shows two sizes, the Quick Quarter Marker II is the longer one and the most useful. The tool also comes in yellow. This is another scant 1/2" ruler from Omnigrid. The reason I say scant is that when lines are drawn a slight amount of width is added. This 12" ruler comes in a set with a 6" ruler.